Everyone needs chocolate brownies in their life. Is there anything better than a mouth full of rich fudgy chocolaty brownie, washed down with a nice coffee or a glass of milk? If ever I am out in any kind of cafe or restaurant you can be guaranteed if there’s a brownie on the menu it will end up in my belly. Unfortunately that’s not so good for the size of said belly! Having also recently been struggling with my stomach/gut health I’ve been trying to avoid anything with too much sugar, wheat and dairy etc. Sometimes though a square of dark chocolate just won’t cut it and I need to get my hands on something nicer. WARNING: These are extremely rich. Best served in bitesize pieces with a nice glass of cold milk (almond milk for me) to wash it down! 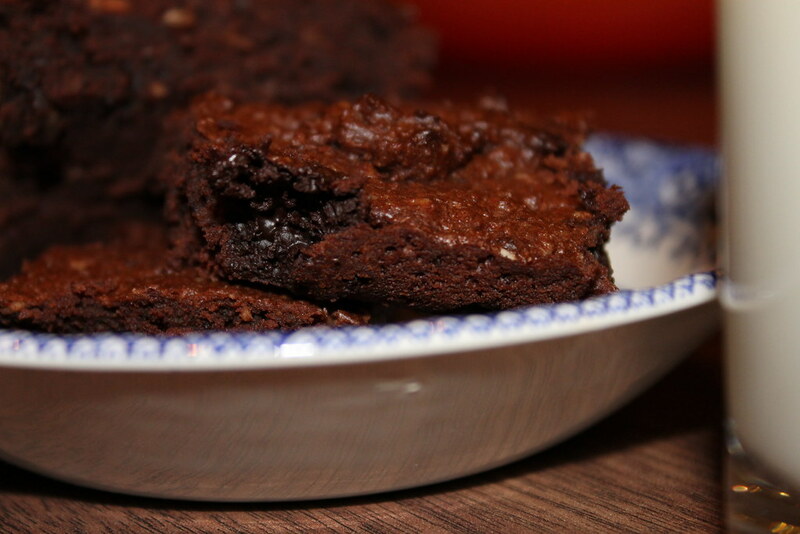 Some other great looking brownie recipes can be found at the links below. I was searching for something sugar free and wheat/gluten free so adapted some of the many recipes I found online. 2. Melt the chocolate and the butter together either in a bowl over hot water or in the microwave. 3. Mix in the vanilla extract and the maple syrup. 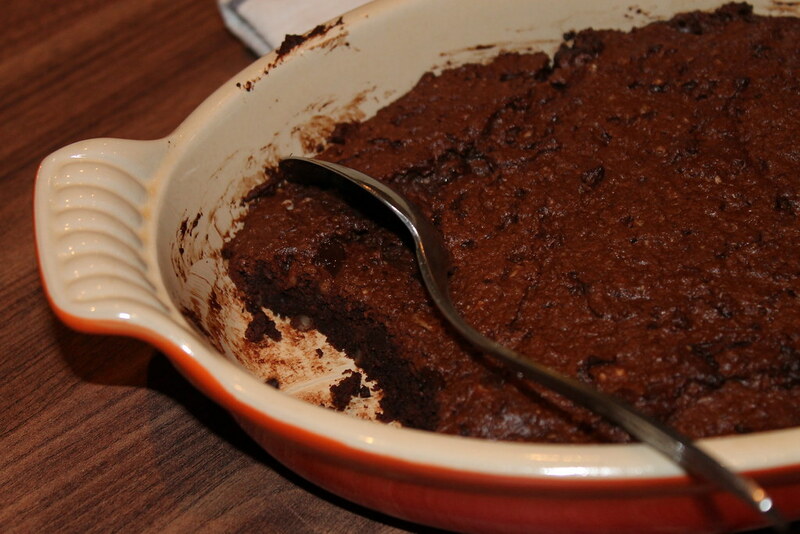 Give this a taste to see if the sweetness is ok for you – I like my brownies rich. 4. Add the beaten egg, the almond meal and the baking powder and mix well. 5. Finally, if using, fold in the chopped nuts and chocolate. Grease or line a tin or baking dish. I used a small stoneware dish. Bake for 17 mins. The top should be well cooked but the insides gooey. Leave to rest and cool in the tin. Cut into 8 or so portions and eat. I may or may not have eaten this directly from the dish with a spoon. Serve with double cream or icecream if you don’t want to be too virtuous. 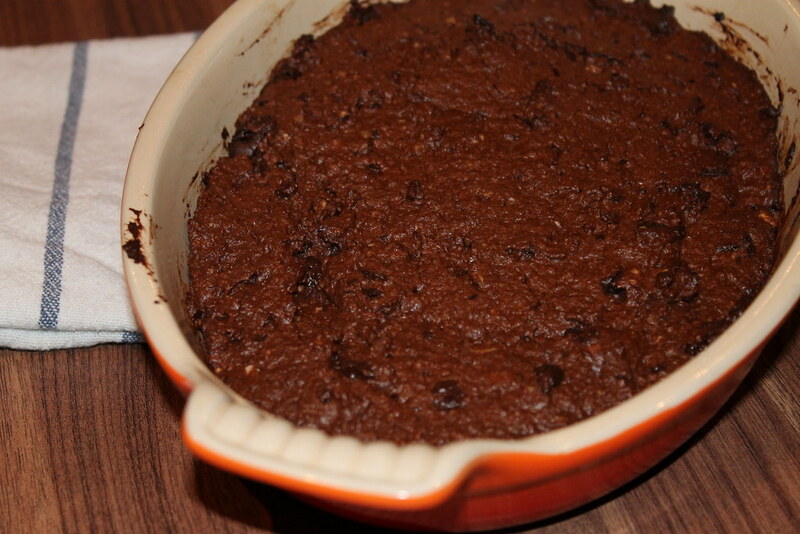 This entry was posted in Food and tagged Almond Meal, Chocolate, Gluten Free, Healthy. Bookmark the permalink.